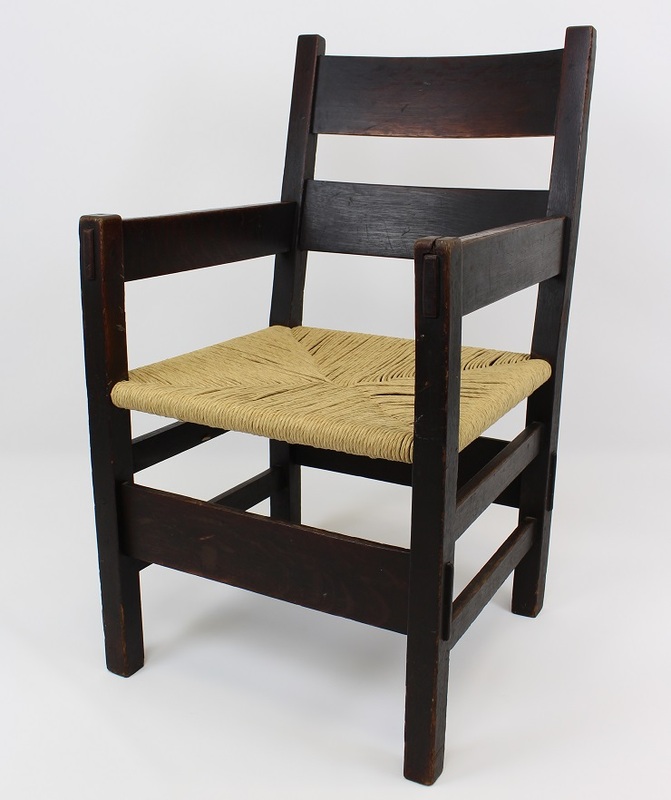 Early Thornden Armchair No.1299A to benefit the Gustav Stickley House Foundation, No Reserve eBay Auction! StickleyCopper.com is donating 100% of the proceeds of this listing plus matching the final price! 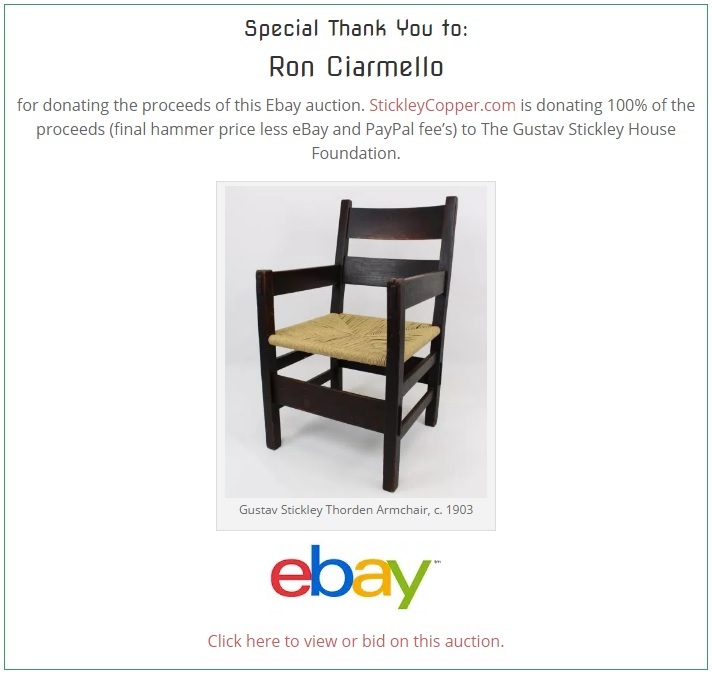 (final hammer price less eBay and PayPal fee's) to The Gustav Stickley House Foundation. 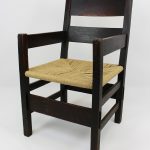 Rare Early Gustav Stickley Thornden Armchair No. 1299A in quartersawn oak with original dark finish and great patina. Brand new nicely replaced rush seat. Chair has honest signs of wear consistent with use and age. Unsigned, Circa 1901. There is one old repair to the right stile which is visible in the pictures. The chair is structurally quite sound and has a great presence in person. Please inspect all 12 pictures for the truest report of condition. To donate or to get involved, please visit the foundation's official website at GustavStickleyHouseFoundation.org for more information. Thank you! The Gustav Stickley House Foundation has been formed to plan for and aid in the restoration, preservation and interpretation of the Gustav Stickley House and thereby make relevant the legacy, ideals and work of Gustav Stickley and the American Arts and Crafts Movement that helped guide social change beginning in the early 20th century. Join us for this inaugural event to benefit the Gustav Stickley House Foundation, supporting the restoration of Gustav Stickley’s Syracuse home at 438 Columbus Ave. Learn about the exciting plans for the project and future of this important Central New York structure and its unique legacy in The Arts & Crafts Movement.